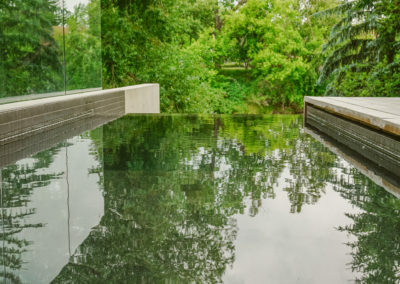 Freeform shapes and handmade glass river rok tile were designed into the basement level area to meet the owner’s vision of being transported into a lagoon like setting with warmth and life all around. 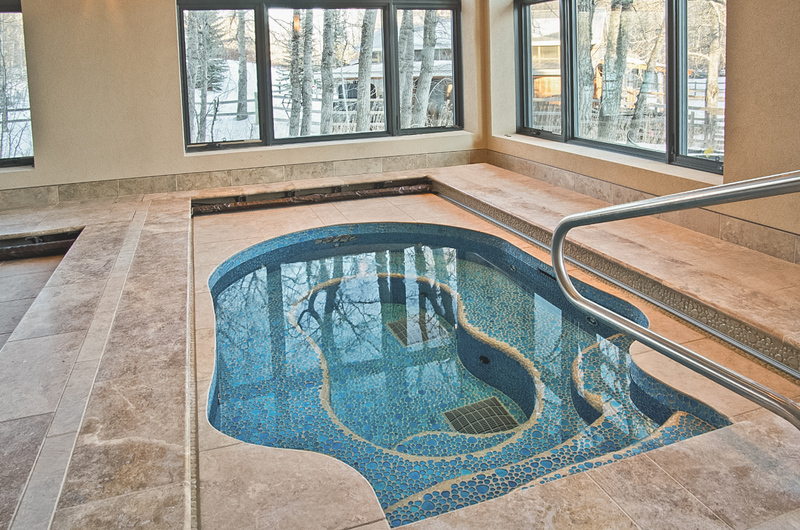 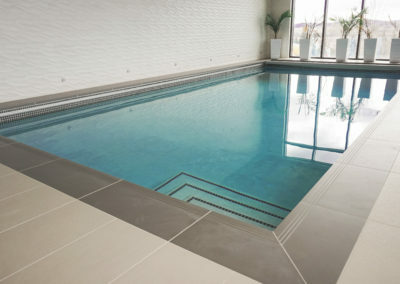 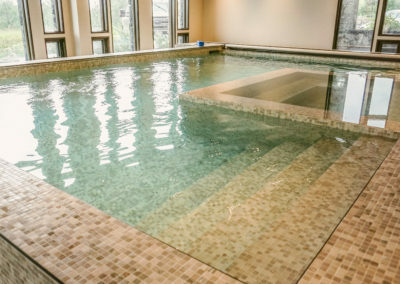 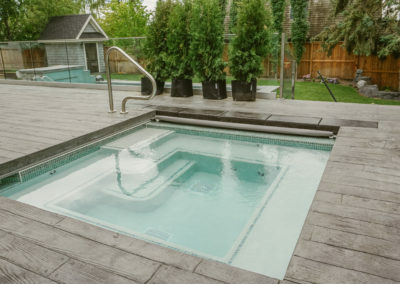 Both the pool and hot tub run on independent operating systems with individual automatic safety covers hidden below the deck. 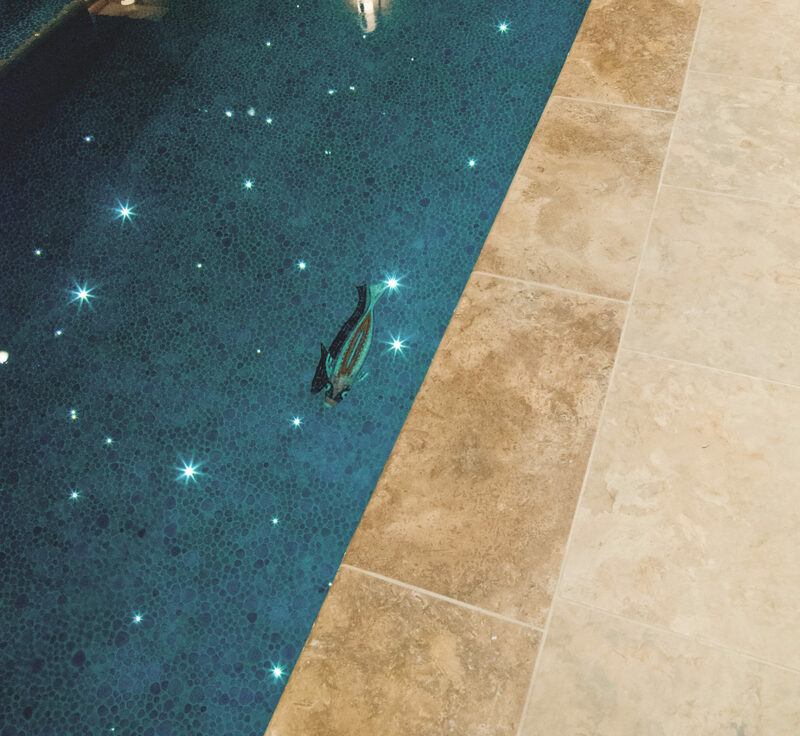 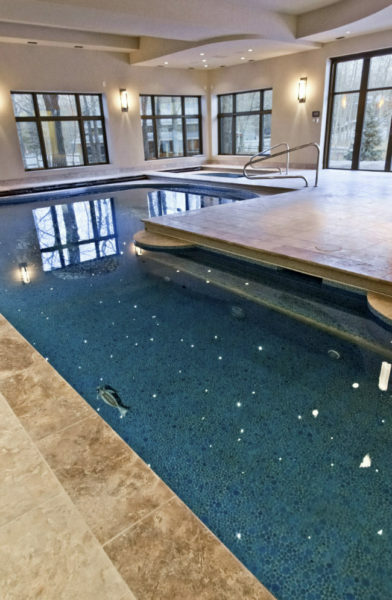 Individual strands of fibre optics were used throughout the pool to create a celestial underwater scene of light as well as hand-cut mosaic characters to bring the pool floor to life.